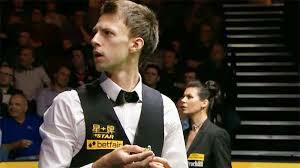 The game of snooker requires skill, concentration and quiet. But one audience member at a snooker tournament was unable to contain his silence, and when he let rip with a huge bottom burp, he temporarily brought the game to a halt. The phantom farter left the crowd in stitches and even raised a smile from the two players – the perfectly named Judd Trump and Ronnie O’Sullivan.